On Saturday June 30th, pure-energie is organizing another open wind day at the wind turbines lining the A30 highway in Ede. Vlastuin is one of the parties that will be participating in the event. 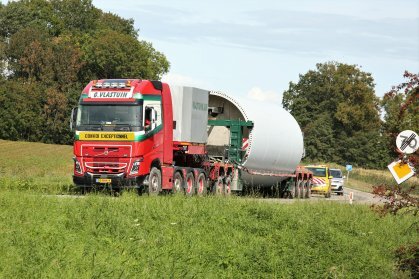 A number of trucks and trailers that are used for transporting wind turbines will be on display. This day is a great opportunity to see the inside of a wind turbine and admire the Vlastuin trucks and trailers, close to the place that G Vlastuin Transport is aiming to relocate to by mid 2019.